1634595017 -One of the best-selling casebooks of all time. 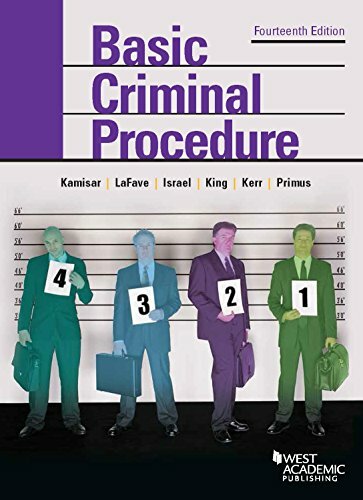 The book includes all the material required to master the essential issues that arise in federal and state criminal investigations and prosecutions, and affords maximum flexibility to shape a course around a particular teacher’s own priorities and interests. Comprehensive coverage of constitutional decisions and statutory regulation is complemented by the latest policy and scholarly debates about such subjects as the evolving regulation of government surveillance, computer and cell phone searches, eyewitness identification, and profiling. Year after year, the book’s focus on current issues has made it the leading choice for teaching criminal procedure.